NEW DELHI: India captain Virat Kohli‘s much-hyped participation in English County Championship was on Thursday ruled out due to a neck injury, throwing his meticulously planned build-up for the tour of UK into disarray. Kohli had visited a hospital in Mumbai for a check-up on Wednesday and it was reported that he is suffering from a slipped disc injury and will not be playing for Surrey ahead of the UK tour. 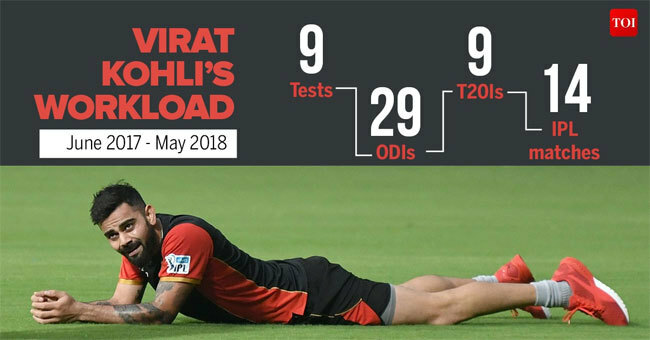 However, a top BCCI official, who is privy to Kohli‘s county engagements, clarified that it was a case of “neck sprain” and not a “slipped disc injury” as reported.